The Chief S.O. Alonge Traveling Exhibition is an exhibition, catalogue, and educational project organized and produced by the National Museum of African Art (NMAfA), Smithsonian Institution. 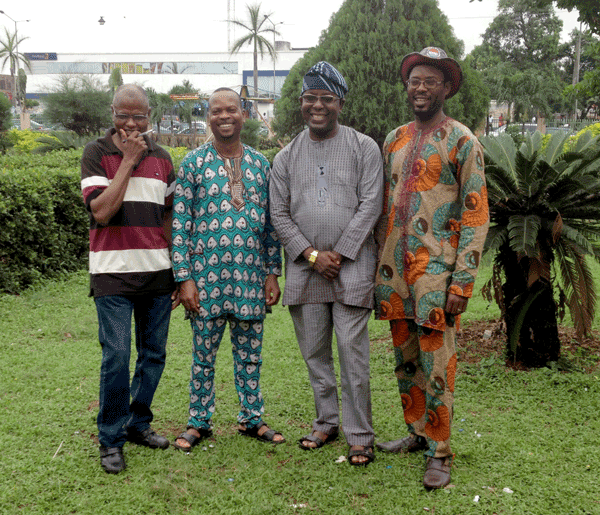 Alonge was the official photographer to the Royal Court of Benin, Edo State, Nigeria. He also owned and operated the Ideal Photo Studio. Many of his photos are in the NMAfA archives, and this material was recently presented in a very successful exhibit. S.O. 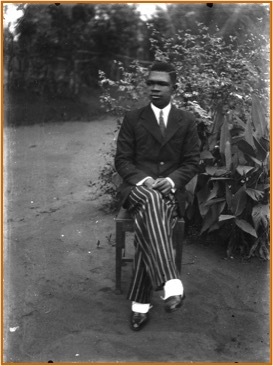 Alonge self-portrait, seated outside his Benin City studio, c. 1942. 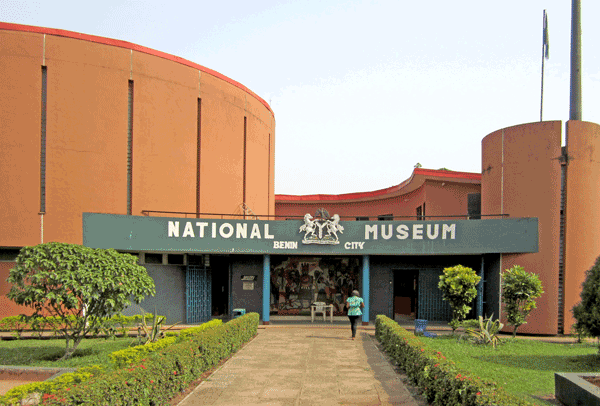 The National Museum Benin City was opened in 1973. 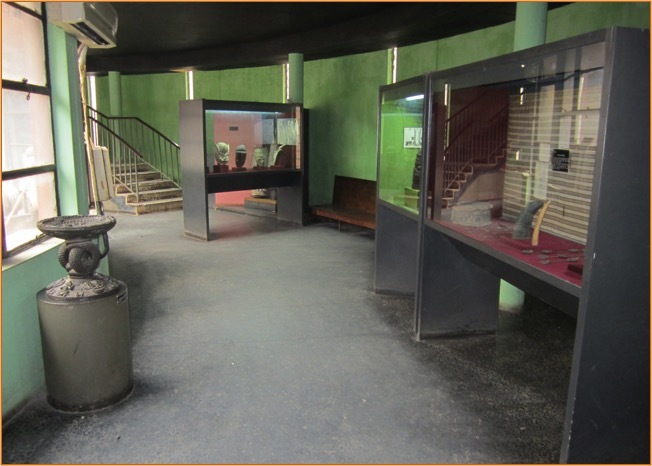 Currently, they are working to upgrade the building and redo the exhibits. As part of this effort NMAfA is planning to send Alonge exhibit components to the museum. Amy Staples, Chief Archivist of NMAfA, is co-curator of the Alonge exhibit and I am the exhibit designer. 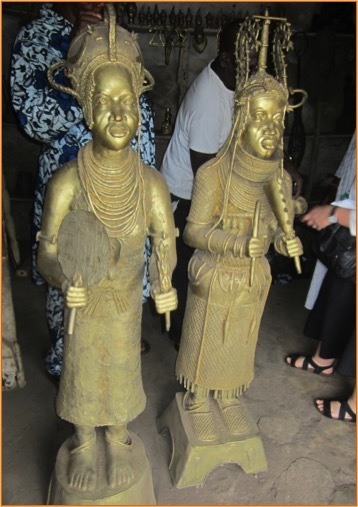 Last month, Amy and I flew to Benin City to work with colleagues at the Benin Museum. We planned for the installation of NMAfA’s Alonge exhibit and also discussed possible design strategies for the other galleries. 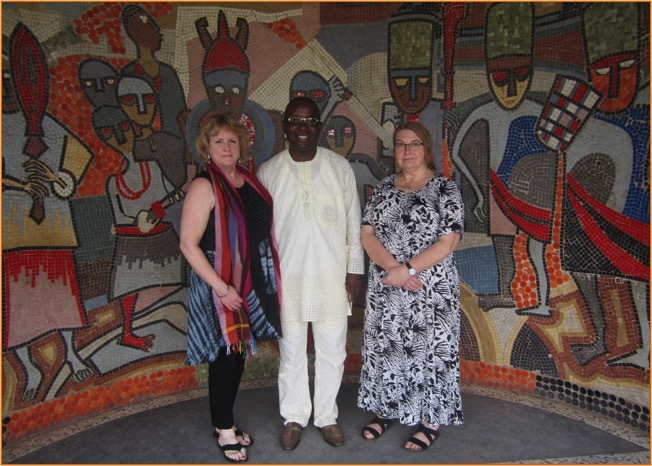 Benin Museum: mosaic mural by Jimoh Buraimoh, with (l to r) Amy Staples, Theophilus Umogbai, and Paula Millet. Nigeria is an amazing place. The streets are thronged with pedestrians and street vendors selling everything from electronics to live chickens. Traffic is hair-raisingly congested and chaotic; traffic lights and designated lanes being mere concepts. It is tropical and hot. Our hotel was nicely air-conditioned but the museum galleries really were not. You just deal with it. Day 1: Amy led a rousing exhibition planning meeting with the museum staff. Then we toured the galleries as we talked about how they would like to re-install the spaces. 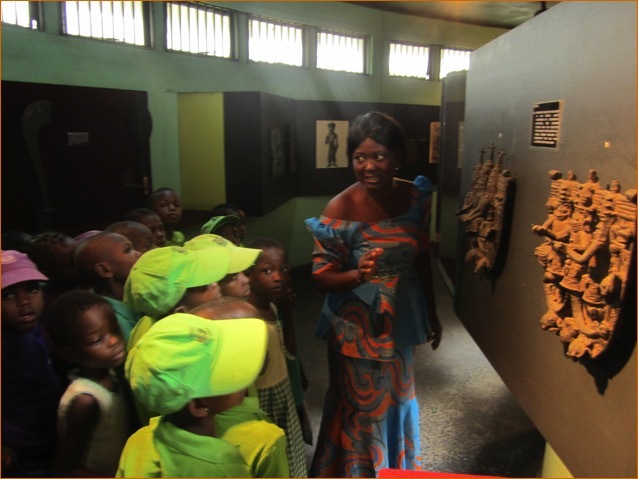 Day 4: We took a trip to Igbinedion Education Center to meet the elegant and indomitable director, Lady Cherry Igbinedion. Amy is working with her on an outreach program aimed at engaging female students in photography. We followed that up with another fantastic experience. Chief Harrison Ehanire gave us a tour of traditional bronze casters’ workshops. The Chief wore his official white robes and coral necklace as he led us along busy Igun Street. 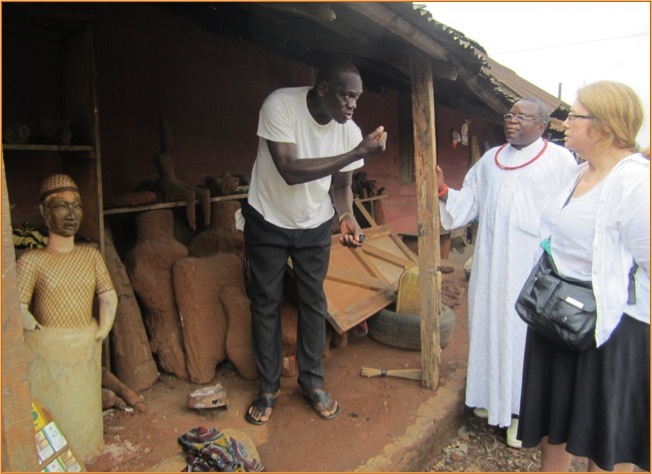 At the artisans’ foundries, we were treated to a step-by-step explanation of the process used to create Benin’s classic bronze works. Day 5: We flew to Lagos, a sprawling and densely populated city. 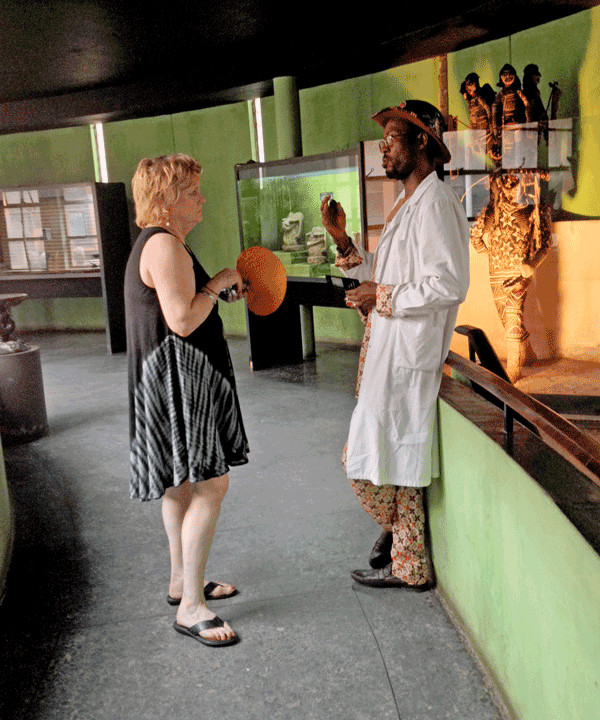 First we were given a private tour of the Lagos National Museum. After the museum, we had a nice visit at the home of Madam Stella Gbinigie. Alonge’s hand-colored photograph of her as a 16-year-old is one of the highlights of the exhibition. Madam Stella Gbingie at age 16. Benin City, Nigeria. 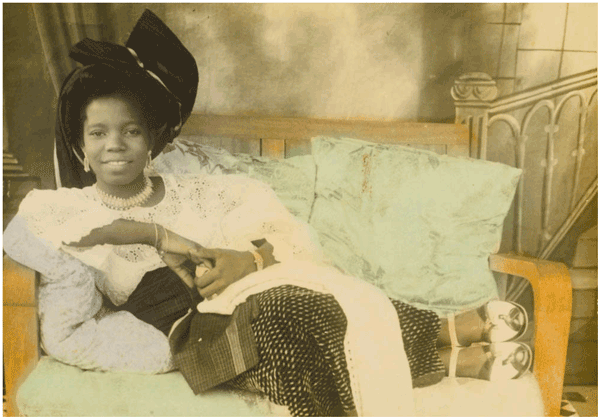 Hand-colored photograph by Solomon Osagie Alonge, 1950. 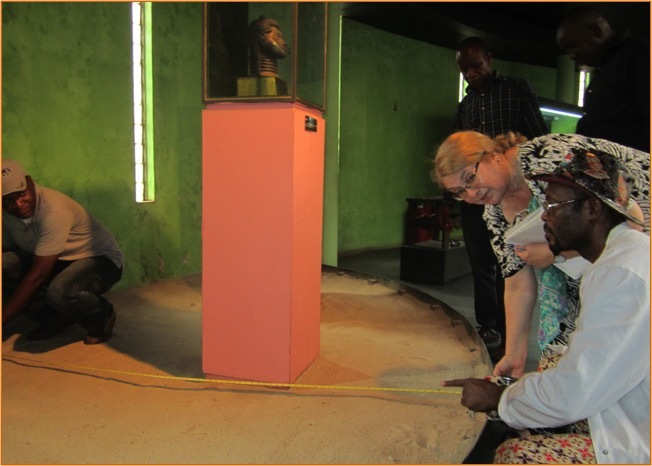 I flew home from the Lagos Airport that evening, grateful to have had the opportunity to work with Nigerian museum professionals and to see such a dynamic part of the world.